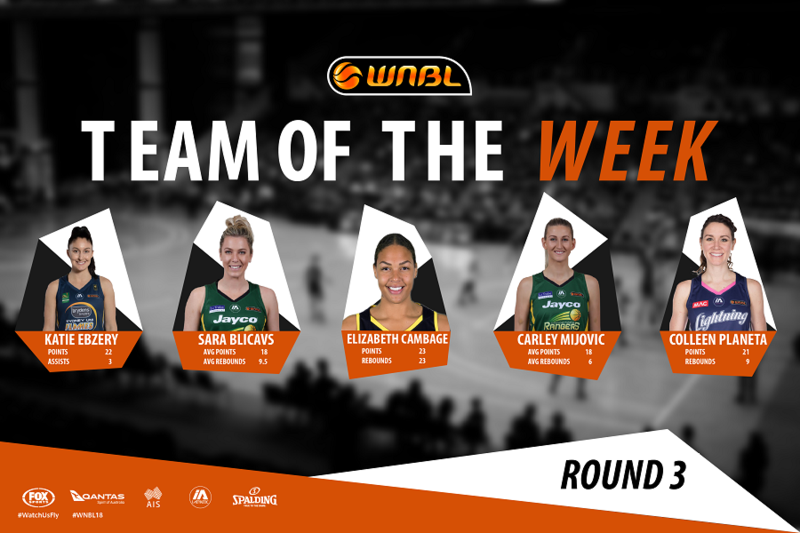 On the back of her first Player of the Week award, Liz Cambage from the Deakin Melbourne Boomers leads the Round 3 Team of the Week after recording the first 20-20 game of the season while also becoming the first player in 2017/18 to be named in the Team of the Week twice. 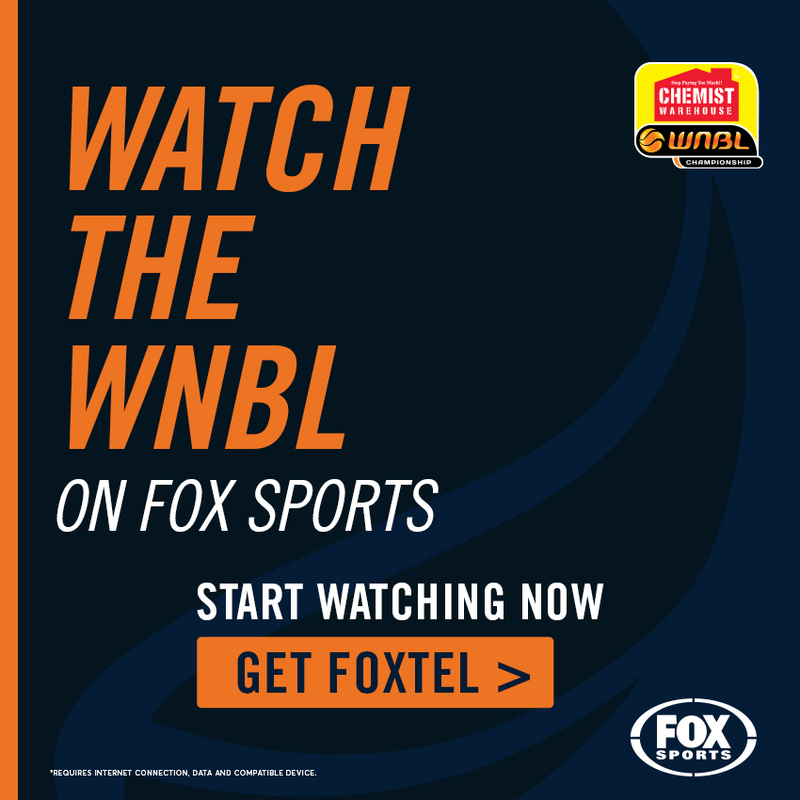 She is joined by Brydens Sydney Uni Flames point guard Katie Ebzery who makes her first appearance after recording 22 points at 56% shooting with three assists and a steal in a win over Townsville. 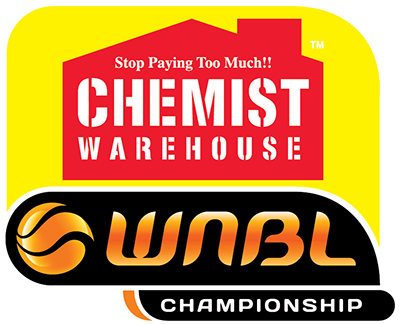 Colleen Planeta becomes the fourth different MAC Adelaide Lightning player to make Team of the Week in 2017/18 after helping her side to a big win over Bendigo with 21 points, nine rebounds, four steals and a block. 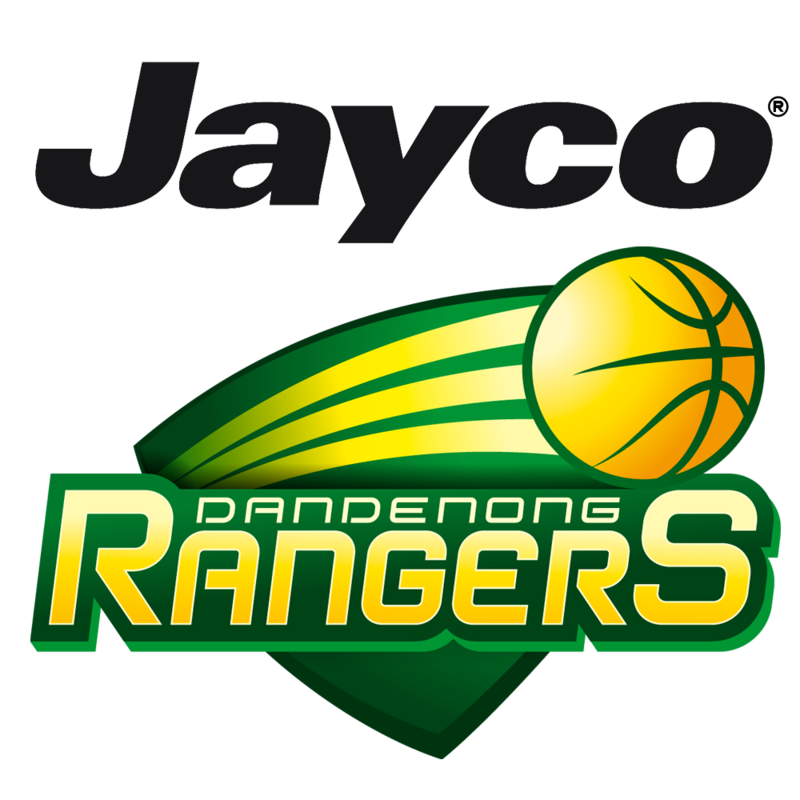 The Jayco Dandenong Rangers swept the weekend with victories against Townsville and the UC Caps and they cap off the Team of the Week with Sara Blicavs and Carley Mijovic. 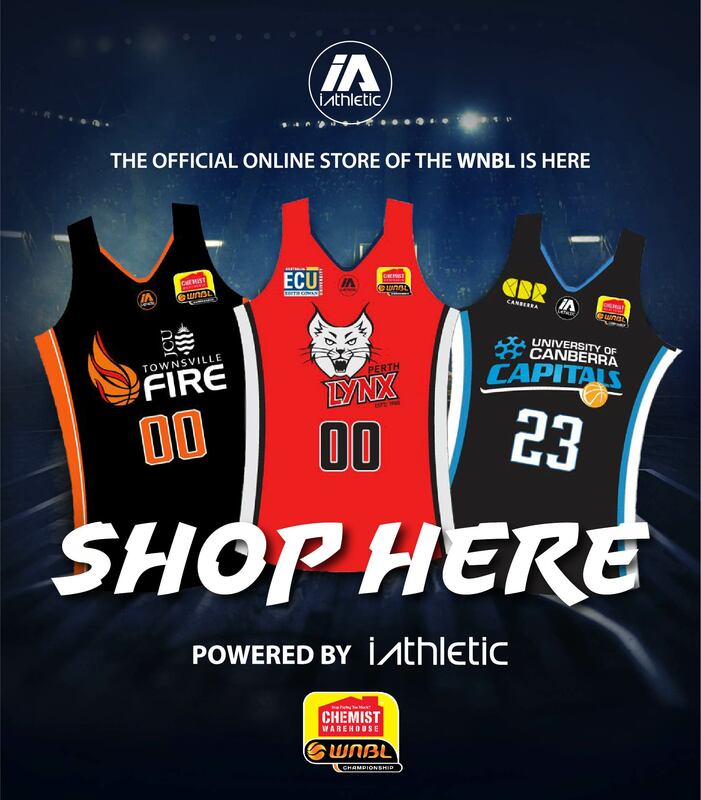 Blicavs was consistent through both games, tallying 18 points, 9.5 rebounds, 3.5 assists and a steal per contest while Mijovic scored 28 points against the Fire before finishing with 18 points, six boards, three assists and 1.5 blocks across the round. 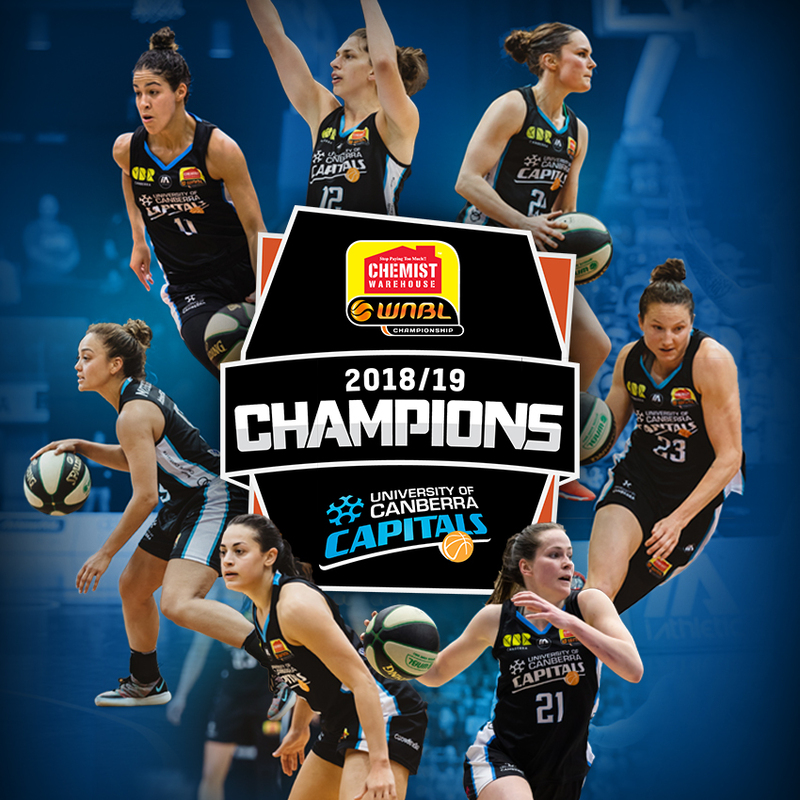 Honourable Mentions: Suzy Batkovic (JCU Townsville Fire), Sami Whitcomb (Perth Lynx), Kelsey Griffin (Bendigo Bank Spirit), Kayla Pedersen (Rangers).